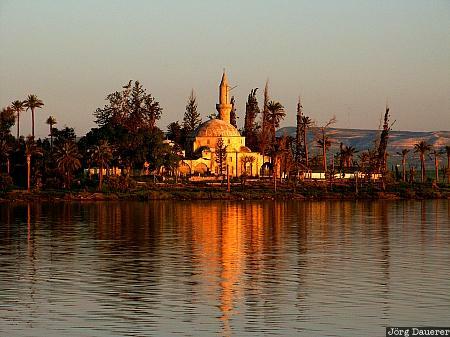 The mosque Hala Sultan Tekkesi in the eastern part of the mediterranean island of Cyprus reflected in the salt lake of Larnaca in the first morning light. This photo was taken on a sunny day in April of 2003. This photo was taken with a digital camera.